Iron Mountain, Mich. (January 8, 2018) — With several months of winter weather still to come for most of the country, BOSS Snowplow invites snow and ice professionals and military families to sign up for SnowCare for Troops, a program that pairs volunteer snow and ice removal contractors with local military families and disabled veterans in need of a helping hand. Now in its eighth year, SnowCare for Troops has provided free snow and ice removal services for more than 1,500 of our nation’s heroes and their families. 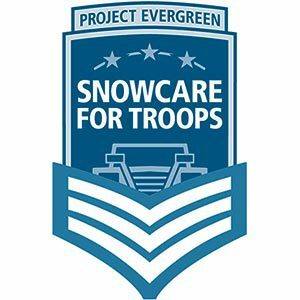 SnowCare for Troops was created by the national non-profit Project EverGreen and is modeled after their successful GreenCare for Troops program. The program is sponsored by BOSS Snowplow, and provides services to military families across the country with an active deployment and veterans with a post-9/11, service connected disability. Those interested in services are encouraged to visit the website for qualifying details and to sign up. “Snow and ice professionals do the hard work of restoring order to their communities after winter snowstorms. Through the SnowCare for Troops program, we’re able to help our nation’s heroes and their families when they need it most,” said Mark Klossner, Marketing Vice President for BOSS Snowplow. The program actively seeks volunteers willing to add a few more stops to their winter service route this season. Volunteers provide complimentary snow and ice removal services to qualifying military families. Interested volunteers can learn more online. Volunteers are particularly needed in New York, Colorado, Alaska, Ohio and Maryland. “We volunteer for SnowCare for Troops because it relieves our military heroes of one more worry that they have when they are deployed away from home. The few minutes it takes our crews to plow their driveway or shovel a sidewalk is nothing to us in the scheme of all of the thousands of manhours we work in a year, but we know it means everything to them,” said Troy Clogg, SnowCare for Troops volunteer and owner, Troy Clogg Landscape Associates, Wixom, Michigan.